Hi Darcy – My sweet husband bought me a meat thermometer that connects to an app on my phone via Bluetooth. So we are entertained watching the temperature climb on the chart on my phone! No opening the oven door to check! Thanks for the informative post. Happy New Year. 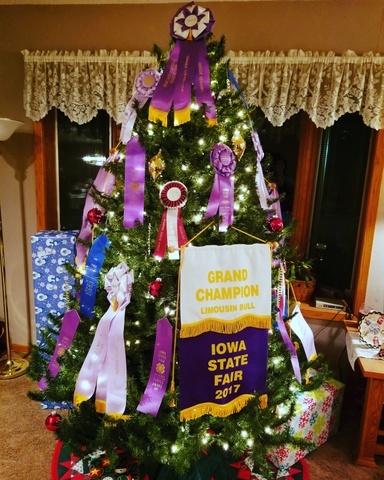 Love it, Suzanne! I need some cool tech like that! What’s the brand of the thermometer? 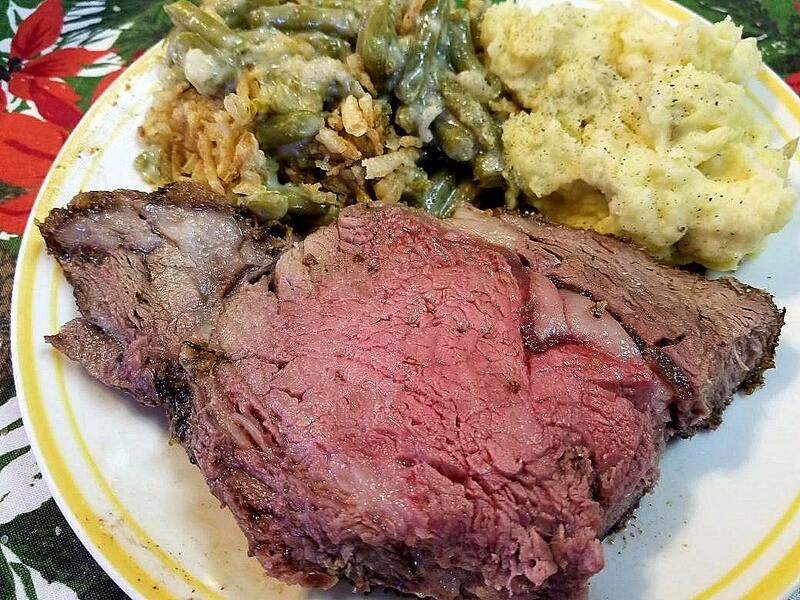 We love Prime Rib but only have it a few times a year I need to try Sharon’s mix and your tips next time I make mine. Great! 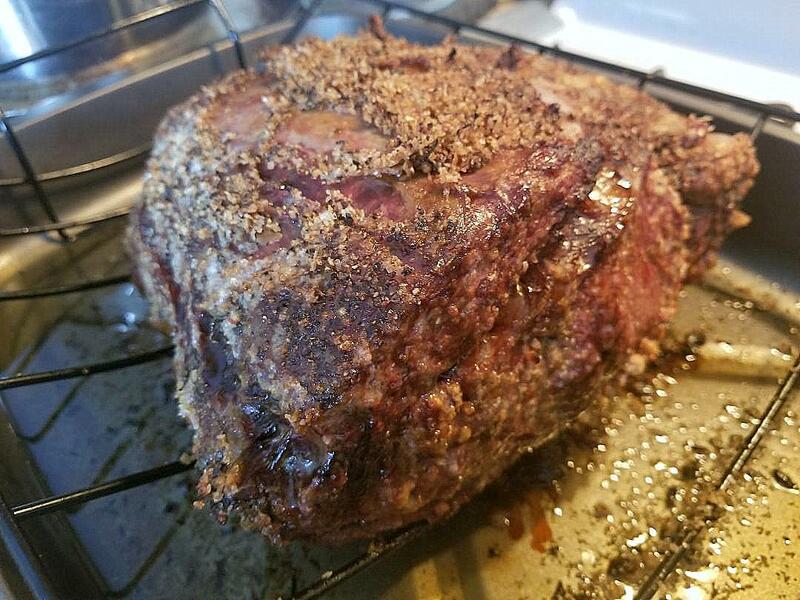 Let me know how your prime rib turns out next time you prepare one. Happy cooking! 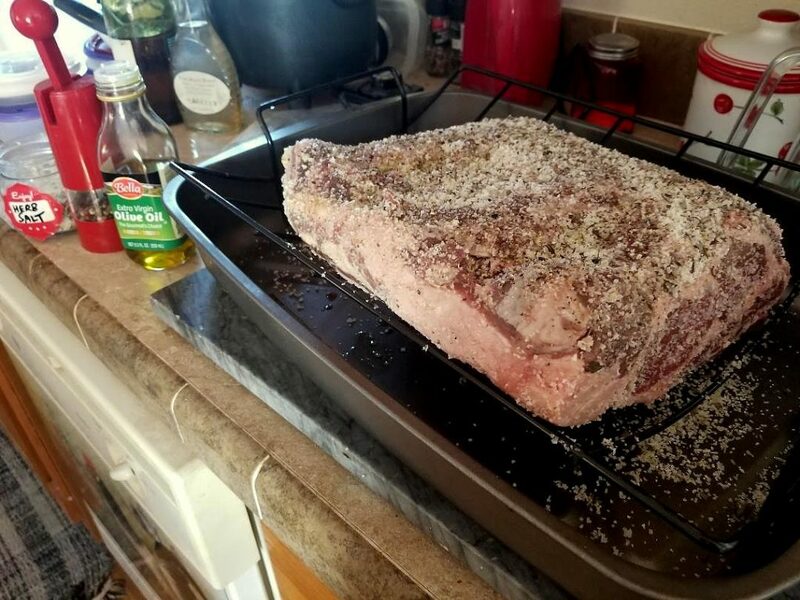 We cooked prime rib for Christmas and I’m happy to say we followed your advice to the T. And I had not read your post until today! It was delicious and the gravy from the pan drippings was divine. The only addition we did was garlic in the rub. I am intrigued by your pepper grinder. I must check it out even though red will clash with my kitchen. 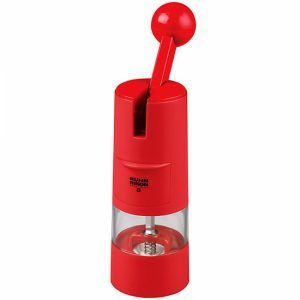 I’ve had a hard time finding a reliable pepper grinder. I commented on the wrong site (I clicked over for the herb recipe), but thank you. I’ve always been afraid to try and cook prime rib myself. Now, I can’t wait to give it a try. Do give it a try, Rena. You can make a great prime rib.